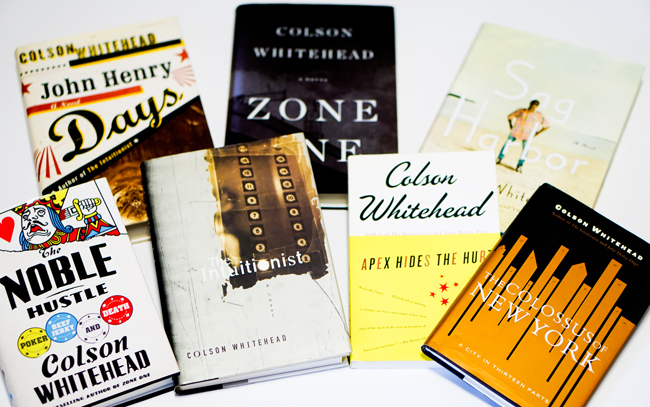 I first started reading Colson Whitehead in around 2000. He wrote something about this high-achieving, smart black woman that caught my attention. I first read Ta-Nehisi Coates in 2003. He wrote something about this high-achieving, smart black woman that caught my attention. Following Whitehead's and Coates's works now for more than a decade has given me opportunities to think closely about their approaches. 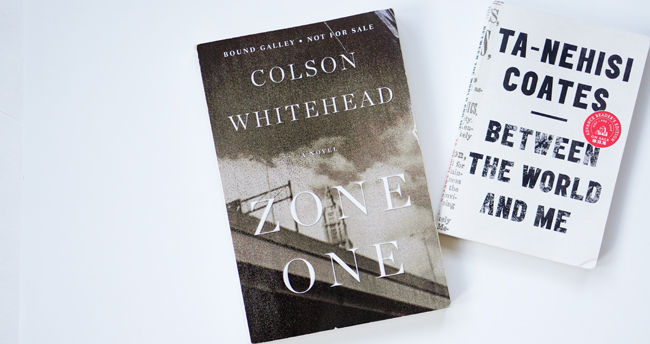 Whitehead and Coates are both driven by curiosity. That's one notable takeaway you'll get when and if, for some strange reason, you take a look at their careers over the last 10 years. In particular, you might notice the significance of their wondering, curious minds if you check out their comments in interviews and their talks and writings about writing. Since the publication of Whitehead's The Intuitionist (1999) and especially after the breakthrough success of his John Henry Days (2001), journalists increasingly sought Whitehead out for interviews. In addition, as an invited speaker on college campuses, he's often prompted to talk about his writing "process." He usually does more interviews and talks shortly before and after the publication of a new book. In the talks, he'll often pinpoint the question or set of questions that sparked the composition of the book he's discussing at the time. With Zone One (2011), his zombie novel, a question about what happens after the height of an apocalypse was an important impetus. The novel is set in a moment when the zombies are thought to have been defeated. Questions about the links between a modern-day journalist and a legendary, hardworking black man are at the heart of John Henry Days. Whitehead's curiosities about elevator inspectors and nomenclature consultants inspired The Intuitionist and Apex Hides the Hurt (2006), respectively. Unusual questions lead to his inventive narratives. In my work for The Atlantic I have, for some time, been asking a particular question: Can a society part with, and triumph over, the very plunder that made it possible? In Black Panther there is a simpler question: Can a good man be a king, and would an advanced society tolerate a monarch? You can trace back, especially since 2008 as he started blogging for The Atlantic, through any of the moments when Coates chose to "double down on" (give concentrated attention to) a topic. His interests have been fueled by a range of questions. What were some of the key, overlooked issues at stake in the Civil War? What does it mean for a lifelong football fan to take CTE seriously? What difference does it make to consider how the Obama administration addresses black people? Why and how might we think about reparations beyond only a focus on slavery? 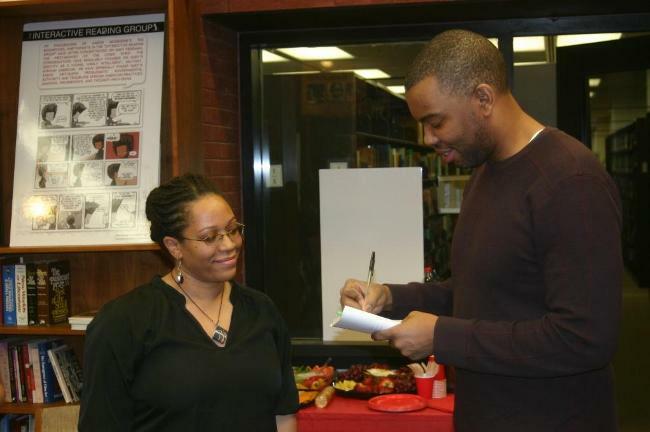 Coates autographs his book The Beautiful Struggle for one of my students, March 2011. I met Coates on two different occasions some years ago. I was struck by how curious he was about things. He was already a prominent writer at The Atlantic. He was the one whose career was about to really take off. Yet somehow, he was the one asking all the questions. Where are you parents from, and where are they parents from? Really, why? What's it like being a literature professor? What kinds of projects are you working on? What do your students think about... On and one. He's always searching. In one recent interview, he noted the downside of all the fame he's received: "One of the unfortunate things about the past year is that I’ve spent it answering other people’s questions." On the one hand, I know we can't cry for him, given all the success. But on the level of how much he's driven by curiosities, it makes sense that he'd become bored by the idea that aspects of that success have, against his will, transformed him into a kind of spokesperson for black people or race answer-er. In September, Whitehead has a book coming out, which I'm looking forward to reading. When news of the book, entitled The Underground Railroad, was first mentioned, the word was that it would be about slavery. Ok, yeah, but it's Whitehead who leans toward questions that push unexpected results. I waited. Now, with a little more information, it appears that one question for Whitehead was this: what if the Underground Railroad wasn't just a metaphor? We'll see. I want to be clear that Whitehead and Coates aren't the only writers driven by curiosities. It's likely many writers we admire are. Over the last decade though, for whatever reason, the questions that Coates and Whitehead worked through were especially apparent to me. I'm curious about the curiosities of other writers, and I'm also interested in understanding how curiosities shape writer output? Furthermore, since I'm a teacher, I wonder about the ends to which educators might stimulate and nurture curiosities among a group. Like, recently as I was thinking about the annual course I teach that is comprised of all first-year black collegiate men, I asked myself: "what if the next Colson Whitehead, Ta-Nehisi Coates, Jay Z, Nas, or Chris Jackson is a student in your class?"